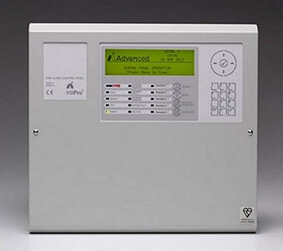 Fire and Safety Solutions are able to offer a full range of fire alarms, suitable for a range of applications throughout Cambridgeshire and the whole of the UK, from conventional alarms to the very latest in wireless technology. Below is a selection of our fire alarms range, for full alarm details or to arrange a free fire safety survey to asses which alarm would be correct for your needs, please contact us. The most commonly installed fire alarms in businesses are either non addressable or addressable. A non addressable system is also commonly referred to as a conventional system. Suitable generally for smaller businesses or properties. Devices are connected directly into a control panel via their own fire proof cable. If a cable is broken for any reason, then the device will stop working. For larger premises or on say 2 or more floors, devices can also be connected in Zones. E.g. Zone 1 ground floor, Zone 2 first floor. If a device activates due to smoke or fire then at least it would be possible to identify roughly where on your premises there is a fire. All devices such as smoke detectors or call points are linked back to a control panel via fire proof cable loop. If a device fails to work for any reason, the remainder will keep on working. Every device connected to an addressable system has a unique address. 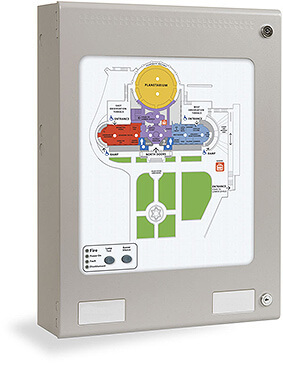 When a fire is detected, the address is highlighted on the main control panel indicating which device has been activated. This indicates the precise location of a fire and enables a relevant fast safe response. This system could save a lot of valuable time finding a fire when compared to a non addressable system. This in turn can dramatically reduce possible fire damage, save your business or even lives! An addressable system is more sophisticated and will reduce the number of false alarms, which are now charged for by the fire brigade.